Please join us to celebrate the opening of two very creative and imaginative exhibitions here at North Edinburgh Arts. Imagination Mill is a collection of work by a group of creatives who met serendipitously through attending Edinburgh College of Art. All are recent graduates or current postgraduates. 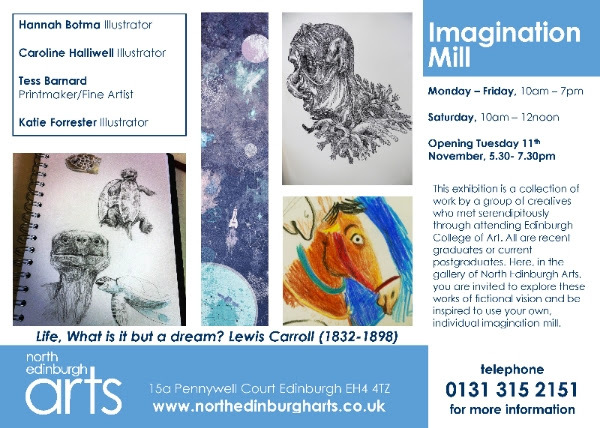 Here, in the gallery of North Edinburgh Arts, you are invited to explore these works of fictional vision and be inspired to use your own, individual imagination mill. 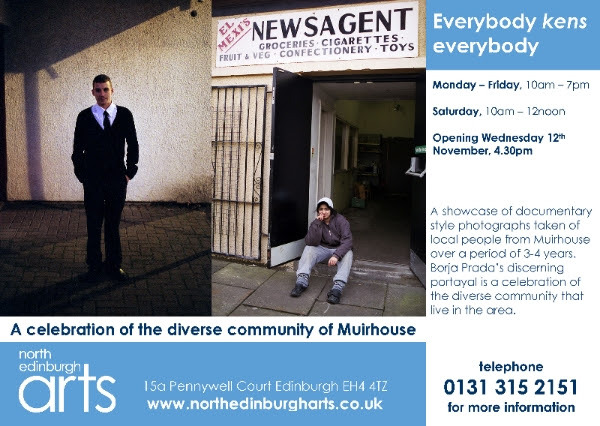 A showcase of documentary style photographs taken of local people from Muirhouse over a period of 3-4 years. Borja Prada’s discerning portrayal is a celebration of the diverse community that live in the area.